Very good, except for the obviously missing upper right-hand corner. Eastern Mediterranean, most likely up toward Antioch, the magnificent ancient city capital. 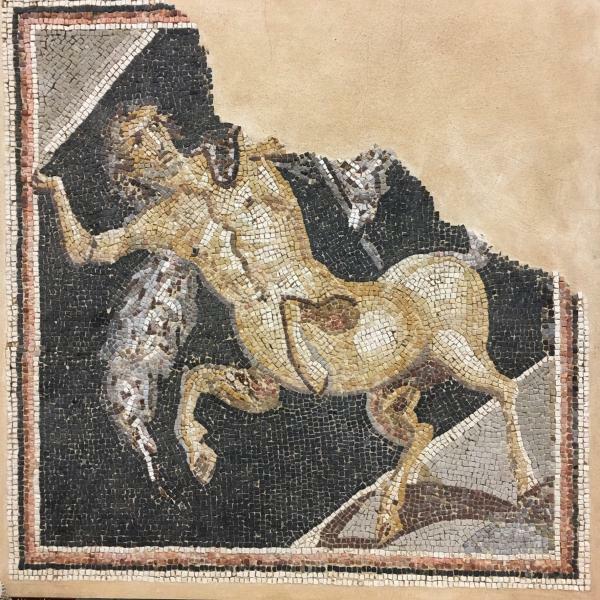 A most beautiful ancient Roman mosaic of a leaping centaur, a vivid dynamic example.